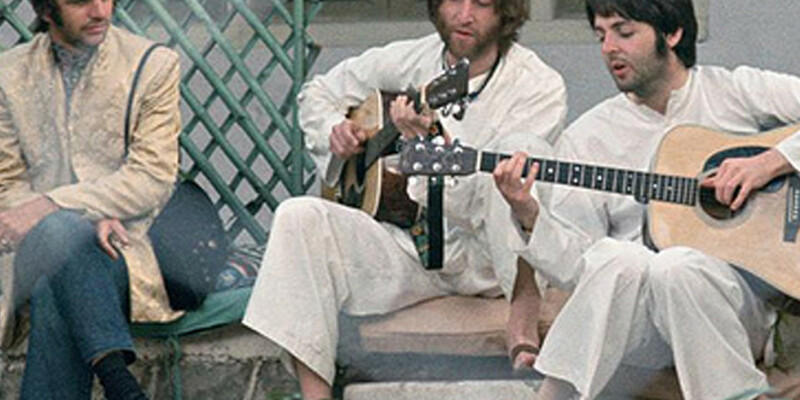 The Beatles went through their Eastern Religion phase and it happened to be when the album SERGEANT PEPPER’S LONELY HEARTS CLUB BAND album came out. 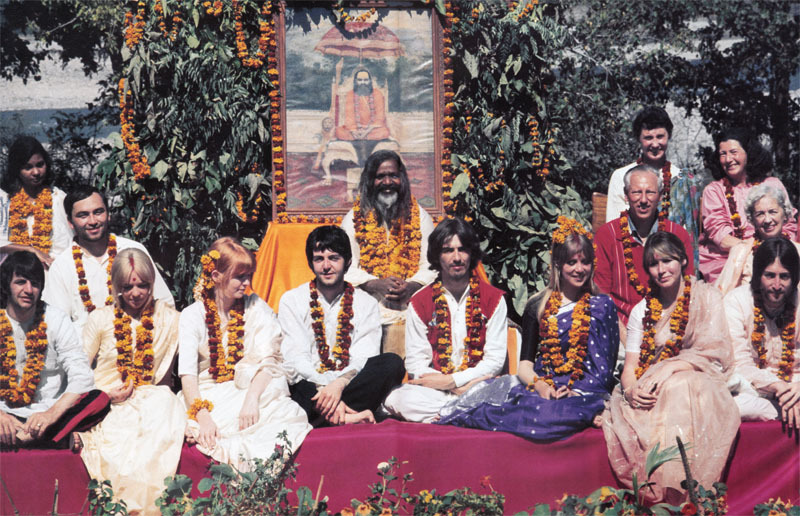 Today we will take a look at the article “The Gurus of Sergeant Pepper,” by Richard Salva and then look at some of the thoughts of Francis Schaeffer on this topic. IN THE VIDEO BELOW take notice at the 14:00 minute mark Schaeffer talks about the BEATLES and at the 22:30 minute mark Schaeffer mentions the Hindu god Kali. On the front cover, scattered among the matinee idols, writers, comedians, and the Beatles themselves, were four faces that had music fans scratching their heads. Who were these exotic individuals and what were they doing on a Beatles album? Those who searched the album casing discovered the word “guru” applied to the four men. 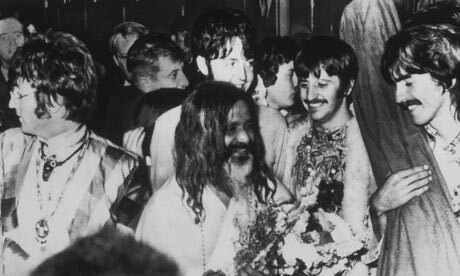 Nine months later, when the Liverpool lads began to arrive at the Maharishi ashram in Rishikesh, India, the words “Beatles” and “guru” would be closely joined, but at this time the appearance of four “mahatmas” came as a surprise. In time, diehard fans would hear the whole story. 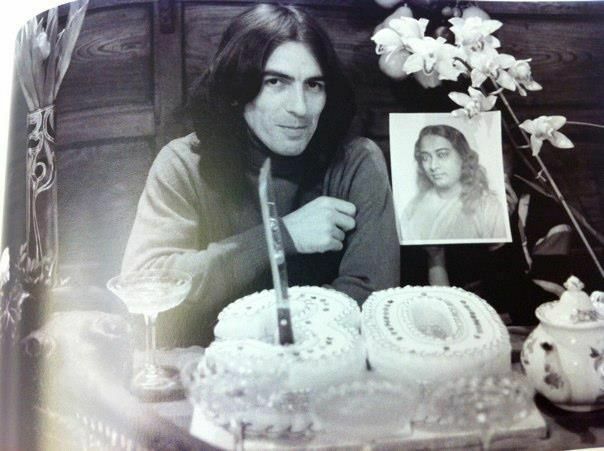 How George Harrison came to India in September 1966 to take sitar lessons from master musician Ravi Shankar. How Shankar gave Harrison a copy of Autobiography of a Yogi by Paramhansa Yogananda. And how that book impressed George so much that he borrowed the images of its four principal gurus, including Yogananda himself, for the Sgt. Pepper cover. The stories of these great masters of yoga are told in Yogananda’s autobiography in poetic detail. Their lives were intertwined with one another, and together they comprised some of the brightest stars in the celestial firmament of Indian saints – recharging the sacred soil of Mother India with their teachings, their presence, and their uplifting influence. In the upper left corner of the Sgt. Pepper group photo we see the serene face of Swami Sri Yukteswar Giri. This great sage was the guru of Yogananda, and the disciple of Lahiri Mahasaya. His penetrating mind and the depths of his spiritual perceptions earned him the title of “gyanavatar” (incarnation of wisdom). ABOUT THE AUTHOR:Richard Salva is the author of Soul Journey from Lincoln to Lindbergh. At the 20:15 mark in the above video Francis Schaeffer discusses how Eastern Religions unsuccessfully attempt to relieve the tension. Hence, man must conform to the universe. He must use logic and order. They are not absurd. The second class of answers, of course, is that there is a genuine answer that is logical, rational, complete and can be communicated. Of this second class, there are three possibilities. The first answer is that everything came from nothing. This, of course, is only a theoretical answer, because we know that something cannot come from nothing. Yet often when a scientist or secular philosopher uses this argument, he will try to make nothing into a little something so he can at least start from somewhere. Various words are chosen to arrive at this position as, for example, when Stephen Hawking, the world famous physicist, refers to the universe as beginning from “an infinitesimal point so small that we cannot conceive of it” or he may refer to it with the more convenient scientific term, “the singularity.” We cannot let them get away with this, because it is a lie. If they are going to argue that the universe came from nothing, then it must be an absolute nothing. No singularities, no infinitesimal matter, no energy, no nothing. The second answer is to maintain that all we see now in the universe had an impersonal beginning, such as raw energy or mass. As we already saw, however, if you start with the impersonal, you end up with the impersonal, unless you can show how the personal can come from the impersonal, which no one has ever done. Modern science’s answer to personality is merely to say that it is a product of the impersonal (neurons) plus complexity (billions of neurons), resulting in a what appears like personality. Further, an impersonal beginning can never produce genuine morals. Morals become the product of mere metaphysics, or even worse, a product of statistics (as in Alfred Kinsey’s Sexual Behavior of the Human Male), or the majority vote (as in various forms of democracy, or even in Plato’s Republic wherein the concept of the povliV [the city] is replaced by the Philosopher Kings). Modern man’s religions are also inadequate for this task, because each of them begins with an impersonal deity or deities that do not love or communicate, but just exist. In pantheism, for example, morals do not exist, for everything in pantheism is equal. There is no diversity, no particulars to match the unity, the universals. The final Karma of Hinduism is to accept your impersonality and reject your individuality so that you can become absorbed into the One impersonal. But if we begin from the personal (as Christianity does), then morals do not depend on mere metaphysics but on pure love. The third answer is to begin with the personal. Please note, there are no other answers than these three. As someone once said, when you get down to the basic questions, there are few people left in the room. We can use this to our advantage in evangelizing modern man, for we can safely show him that Christianity is not merely the best answer, it is the only answer. God and man are separated by infinity, but they are joined by personality. Man and animal are joined by being finite, but they are separated by personality. So man must bridge the chasm between God and himself through personality, or by relating to God on a personal level. As Christianity teaches, for example, if we have offended a personal God, we seek his personal forgiveness, we draw on his personal quality of mercy and compassion. Likewise, in being offended, yet also being infinite in majesty and power, God requires, in the personal realm, an appeasement of his person in order to preserve his honor. Thus the Second Person of the Trinity, by his own personality, voluntarily gave himself to be the propitiation to appease the First Person. It is all based on personhood and what is required to preserve personhood. This is why we also call God “Father,” and not “The Other,” or merely “the Infinite,” for “Father” is a personal term. And in that answer we have not only the personal and infinite God, we have the Three Persons who each have their own Personality, within that infinite God. There was a very good reason that our Church Fathers referred to the Trinity as Persons, as opposed to Modes (as in Modalism or Sabellianism), because each one in the Trinity is personal. The Persons of the Trinity loved and communicated with each other before creation, and when the Trinity created man the Persons instilled in man the same personal traits so that man could love God and love his fellow man. And because God is personal and the members of the Godhead loved each other, God did not need to create man in order to love. Rather, God created man because of love, to foster love, to reflect the Godhead’s love. The finite and the infinite could be joined together by love, which would hold them together for the rest of eternity. This contrasts to Hinduism. Although there are five faces in the Hindu presentation of God, they are not persons, they are impersonal entities. One of the entities is feminine, Kali, but she is a destroyer, often pictured with fangs and skulls hanging around her neck. This is because there is no difference between cruelty and non-cruelty in Hinduism. Perhaps the feminine representation in Kali is a picture of Eve, which is not uncommon in pagan religions. So we see how in all these instances philosophy has an overwhelming effect on how modern man thinks and lives his daily life. There is only one answer for modern man. It is Christianity. Go out to the highways and byways and tell them the Good News! Robert A. Sungenis, Ph.D. My thanks to Christian philosopher, Dr. Francis Schaeffer, for much of the information contained herein, and with whom I personally communicated on these topics before his death in 1984.